Maruti Suzuki India's compact sedan Dzire, in its new avatar, became the best-selling model in the country for the first time in August, taking the pole position from its sibling Alto. As per the latest data from Society of Indian Automobile Manufacturers (SIAM), seven out of top 10 best-selling passenger vehicle models in August were from the stable of Maruti Suzuki India (MSI). The remaining three models were from Hyundai Motor India. MSI's new Dzire, which was launched in May this year, clocked sales of 26,140 units in August ahead of 21,521 units sold for Alto. Alto has been the undisputed best-selling model in India for over a decade. In August last year, the old version of Dzire had sold 15,766 units, while Alto clocked 20,919 units. Among the top 10 best-selling models in August this year, MSI's premium hatchback Baleno came third with 17,190 units as against 8,671 units in the same month last year. Compact SUV Vitara Brezza stood at fourth position with 14,396 units. It was at the eighth position in August last year with sales of 9,554 units. The company's compact car Wagon R stood at the fifth position, selling 13,907 units. It was third in August 2016 with sales of 14,571 units. MSI's Swift occupied the sixth spot with 12,631 units. It was fourth in the year-ago month with sales of 13,027 units. Rival Hyundai's hatchback Grand i10 stood at the seventh position last month with 12,306 units. The model had sold 12,957 units in August last year. 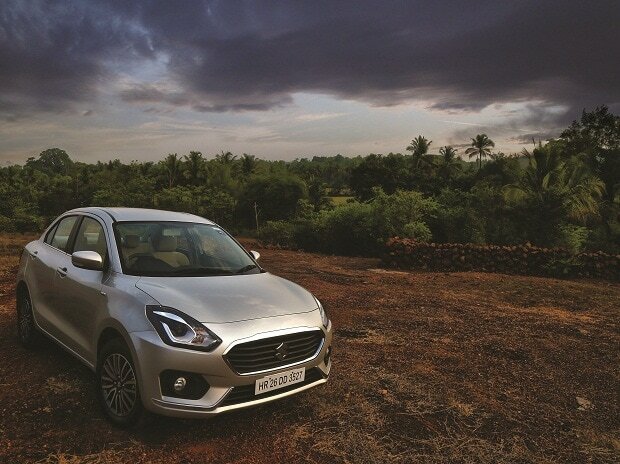 The company's premium hatchback Elite i20 stood at the eighth position last month with the sale of 11,832 units, while its SUV Creta stood was placed ninth with sales of 10,158 units. MSI's hatchback Celerio completed the list at the tenth position with sales of 9,210 units. Renault's Kwid failed to make it to the top 10 list. It had featured in the top 10 passenger vehicle list in the same period last year.